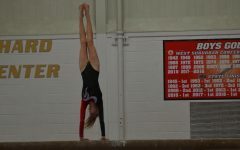 The boys gymnastics team poses at the Red vs. White meet on Feb. 23. 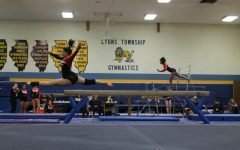 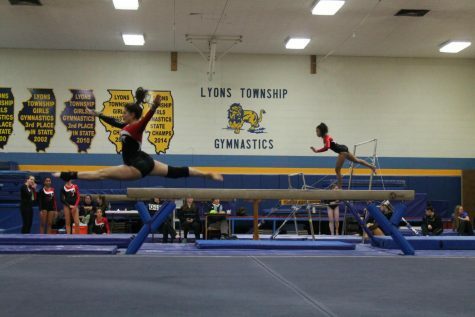 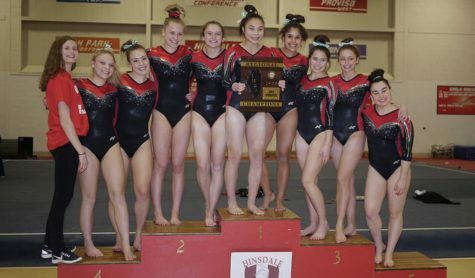 The boys gymnastics team will be competing at an away meet on Friday, March 9 at 6 p.m. against Lyons Township High School (LT). 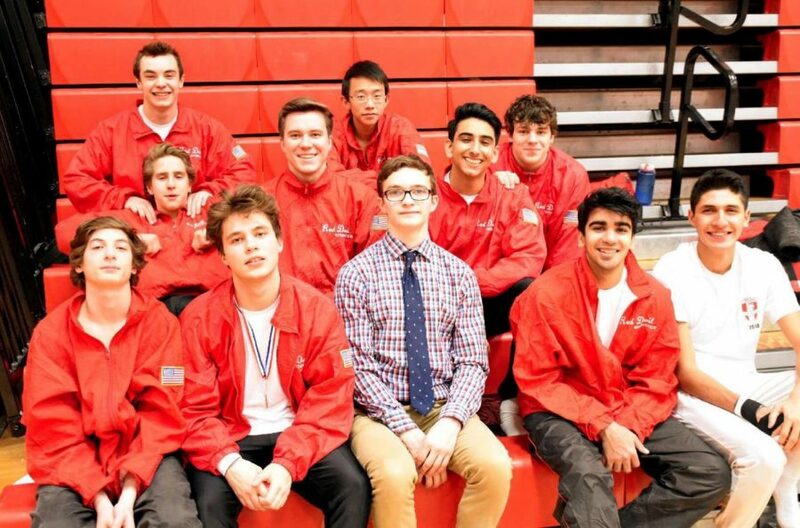 LT has a reputation for being Central’s biggest competition in terms of athletics, so the boys have been practicing hard in preparation for this meet. 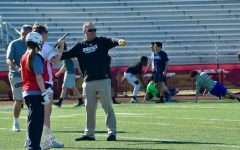 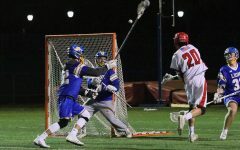 The boys practice every day after school until 5:30 p.m. 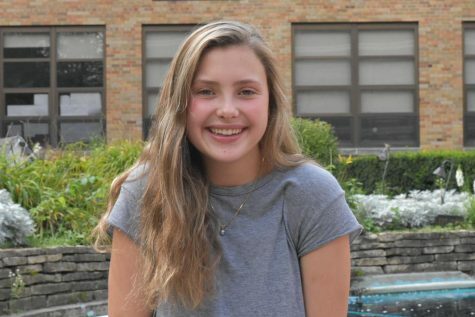 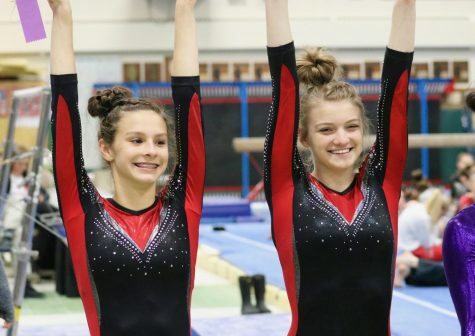 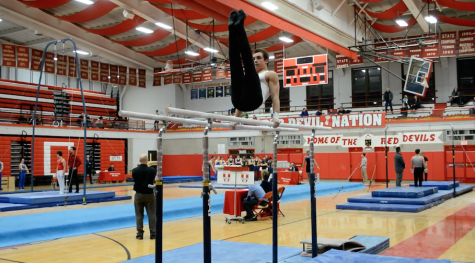 They compete in a variety of different events, including pommel horse, rings, parallel bars, floor, and the vault. 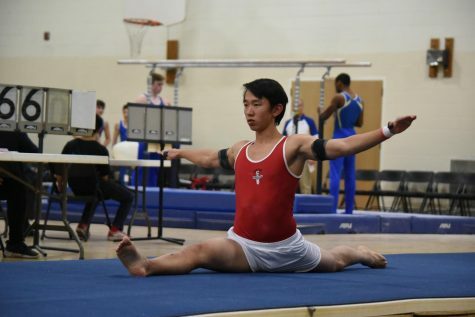 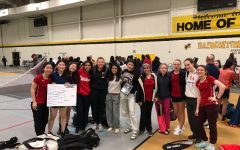 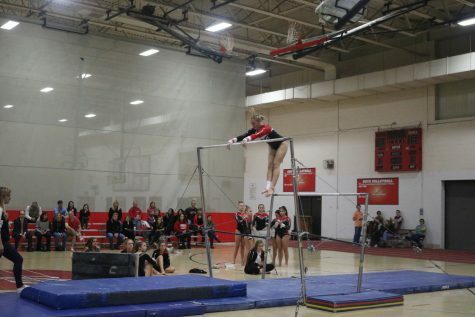 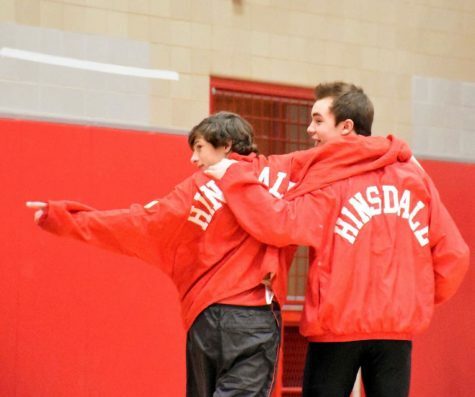 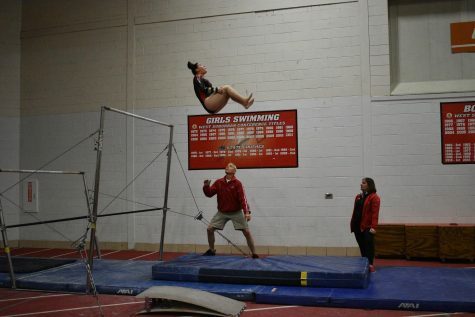 In addition to practicing hard every day, the boys used the Red vs. White meet on Feb. 23 as preparation before they face LT.
Last year, the boys gymnastics team lost against LT, but this year they are hoping to bring home the win. 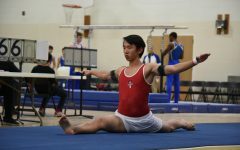 The meet begins at 6 p.m. in the main gym of LT’s south campus, and the boys hope to see the stands filled with red and white.